One of the biggest reasons I wanted to push a blog that talk about money is because, as a young family, we’ve gone through a whole lot of financial successes and failures and we want to be able to share the journey with you. Why so? Because really, there are nuggets of gold when you learn from the mistake of others instead of going through everything your way and then realizing 20 years later, that you are in such a huge financial mess. Right? Of course, you still get to make financial mistakes of your own but at least, you eliminate – or prepare yourself – for the biggest ones. Our little family started 2012, with me giving birth to our daughter in February 2013. Months prior, I had been in the denial – I was just starting out my corporate career and felt I had so much to accomplish – and, lo and behold, our daughter came as a surprise. Then came our first financial success: saving up around Php50,000 in cash in just 3 months, in preparation for giving birth. But having a baby turned out to be a blessing, because it helped set our priorities right. We learning more about managing money – savings, investments, purchasing a house, and so on. 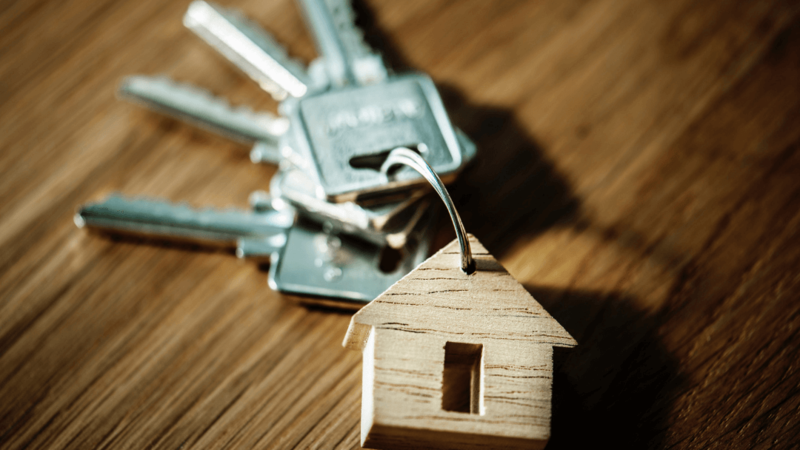 We opened up a mutual funds and stock market account, and also started looking into affordable houses, which we finally started paying for in 2015 (we found one the year before but ran into problems; but that’s for another blog post haha). We made A LOT of financial mistakes along the way despite reading on a bunch of blogs and books. Thank goodness we learned to put a stop to it right away (but we’re still paying for it argh). In 2017 came another surprise, which is baby #2, which helped us get the ball rolling on our house (we finally moved) and my business (check out my first year journey here). While we are still paying for our mistakes, I have to admit that those things helped bring us where we are right now. Thankfully, our financial mess is not THAT big – it could have been worse. And, with me still in my late 20s, there’s still plenty of time to make up for the wrong decisions. 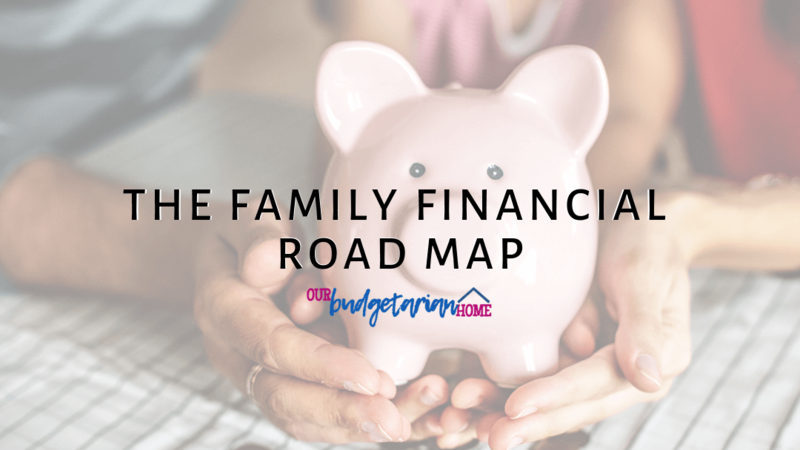 Which is why I wanted to share with you a financial road map especially made for new families. Because really, it’s a whole different situation when you’re planning your finances around another person and a little human (or more). Keep in mind though that everyone’s financial journey is never the same. It’s called personal finance for a reason. Nevertheless, it’s good to create some guidelines and road maps to keep your goals in check. There’s no question about this. Once you have a family, you need to prioritize the basics: food, shelter, clothing, basic health and safety. You can’t forego food and other basic needs – but you can control how much you spend for each of these things. While you’re at it, make sure that you also calculate your net worth as it will help you know your current financial standing and create goals. This means paying for all your utility bills on time: electricity bills, water bills, phone bills and so on. Doing so will help prevent your financial situation from going haywire. In some countries, this could even help you maintain a good credit standing – in the Philippines, companies are not that strict although I’ve heard of certain situations where outstanding balances can affect your employment. If you can get rid of certain bills (eg. gym memberships) or lessen them (eg. electricity and water bills), then that will help you tame your budget. We started tracking our cash flow and net worth in 2016, when we stayed on the road for 21 days with our daughter. Little did we know, it was in preparation for living on our own – because we moved out of our house seven months later! 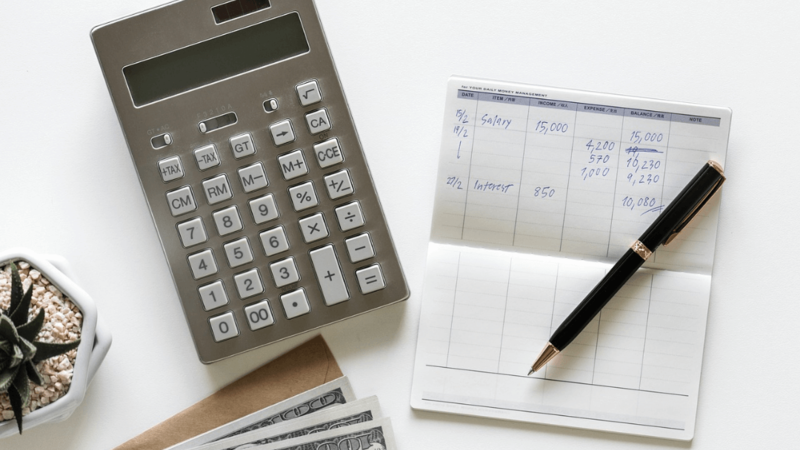 Tracking our incoming and outgoing money did help us get a bigger picture of our income and expenses, and helped the partner master his grocery budgeting. It also helped me figure out how much we truly needed in order to have a more comfortable lifestyle. In October 2017, I decided to run a service-based business to increase our household income, because there is only so much you can reduce in your budget. When we started out, we used a plain old Google Spreadsheet (I love that you can access it anytime, anywhere), but now we use YNAB to keep track of our budget. We’re talking about HMO here, which, if you are employed, is something you no longer have to worry about. If you have dependents, you might notice that this takes up a slightly bigger chunk of your payroll compared to your single peers, but at least you have the peace of mind knowing that everyone stays protected in case of hospitalization and other medical emergencies. From personal experience, I was able to save around Php12,000 in personal expenses (related to pregnancy – OB consultations, lab tests, and a 3D echo for my heart, etc) and around Php24,000 for my daughter’s hospital expenses when she was admitted 3 days in the hospital for gastroenteritis. That way, if TRUE EMERGENCIES happen, you have funds that you can use instead of pulling out your credit card, or taking a loan from your family, relatives, friends, banks or loan sharks. Ideally, your emergency funds should be somewhere liquid and easy to get such as a savings account. If you can get a high-yield savings account, then all the better. Filipinos are not believers of life insurance, by nature. You see, it’s something that you pay for regularly but never really get to use (God forbid you have to use it) – but it gives you the peace of mind knowing that your family has funds they can use just in case the worse happens to you. There are two main ways you can go about purchasing life insurance but regardless, you need to make sure you have this once you have dependents relying upon you and your income. I have a whole other story to write about my life insurance purchases but I’ve now secured term life insurance with Sun Life. Yay! Confession time: we still have a five-figure consumer debt we need to tackle. It’s something that is already ruining my credit history but also something that we are fully aware of – so we hope to get rid of it ideally by the end of 2018, but realistically, maybe somewhere mid 2019. Earlier this year, we had already paid off debts we have incurred from borrowing money from friends and we plan to stay away from doing that again (and hopefully, not have to borrow from my parents again hahaha). However, since I’ve lost access to my credit cards (only had two, really), we’ve realized how powerful cash can be and how possible it is to make all your purchases done through cash. We’ve lived our cash-basis lifestyle for maybe two years now and we hope this will continue until…hopefully forever! If you have don’t have credit cards, then good for you! Better stay away before it consumes you! If you do have them, just make sure you are able to pay off the entire balance – and not just the minimum – to prevent yourself from incurring huge fees on interest alone. Time to save up for the big purchases! In the Philippines, you don’t usually need a huge chunk of money to get started on your dream house or car, unless you build them from scratch or buy them second-hand. With car sales plummeting lately, you might just be able to see zero downpayment cars left and right! (Yikes, but be careful – that means HUGEEEE monthly payments.) For real estate, you usually just need as low as Php10,000 to reserve your slot and then you can start paying for your downpayment the month after and until the next three years, usually. When we bought our house in 2015, we made zero plans prior. In fact, we paid for both downpayment (equity) and loan (mortgage) starting on the 4th month because we had no idea what we were getting ourselves into. You can open up a Money Market Fund or Bond Fund to help you save your money for downpayment! There are multiple ways that you can compute your emergency fund. For some, it means saving around 6-12 months’ worth of expenses. Others, they add in multiple expenses such as the most expensive surgery/operation you can avail (or something along these lines). I suggest going for the former to keep things simple. You also do not want to have a huge chunk of your fortune in your emergency funds alone because you could be missing out in letting your money work for you. For those in the sandwich generation like we are, there are two groups of people you need to secure this with: your parents and yourself. We’ve come to realize that because the partner’s mom isn’t financially secured (we also aren’t, really, and I’m not sure what my parents’ status are as well), any real emergency could topple the still-fragile foundation that we are trying to build. Thus, we have to think about securing a senior citizen and two nearly senior citizens – and also ourselves. Whew. That sounds like such a huge burden. So far, I’ve only seen Kaiser provide health insurance for seniors although they can be really costly and I’m not quite sure about their policy for pre-existing conditions. You’re never too young to save up for retirement. Truth be told, we didn’t quite follow this road map – which is why I’m laying it all out here so you learn from our mistakes, and also as a reminder to ourselves so we stay focused on our goals. We still aren’t clear whether our mutual funds account or our stock market account is for retirement but nevertheless, we will continue to religiously save up money and build our funds there. Open up an equity or index fund to get started on your retirement fund! Plus your kids can always apply for a scholarship or work on the side to help pay for their tuition, right? You can look into getting a Balanced Fund to help build your kids’ college fund. I do have one tiny objection here: don’t wait for your retirement to enjoy your money! Right now, we’re doing our best to put in some fun and leisure while the kids are still young. We don’t want to put off traveling when we’re gray and old and the kids no longer want to join us. Where’s the fun in that? But definitely, think about the leisure activities you can enjoy during retirement and save up for it! If you want to build better financial habits, achieve financial freedom or even follow the F.I.R.E. (Financial Independence, Retire Early) movement, then follow us on Facebook or join our brand new Facebook group! Let’s encourage each other and slay our goals! We’re also doing a 30 Days to Improve Your Finances series here on the blog, so make sure you keep your eyes peeled for daily posts in January!